As population keeps increasing, it is vital to enhance agricultural production to ensure regular availability of foodstuffs. Agriculture industry is under increasing pressure to meet the demands and meet them fast. Obviously, this industry can't be expected to come up to expectations unless its machines and tools are up to date and well maintained. With the rising demand for quick supplies of agricultural produce, machinery employed by agriculture industry needs to be more efficient and that can be possible only when there is further development in the design of machines to deliver more output. Like any other machinery, agriculture machinery too depends a lot on using bearings. Wikipedia defines bearing as device that allows constrained relative motion between two or more parts, typically rotation or linear movement. Bearings come in a large range of sizes and designs to suit specific applications and are classified as per their working principle and the direction of applied pressure that they can bear. Bearing are designed to reduce friction between two moving components of the same machine and thus play a vital role in making any machine efficient and keeping its operation smooth. There are many companies producing bearings for the agriculture industry. These manufacturers are helping the industry in their own way by offering bearings that keep agricultural machinery working efficiently. The precise bearing to be used for any machine depends on the design and functioning of that machine but an essential feature of any bearing is that it should provide perfect sealing while working under difficult conditions. 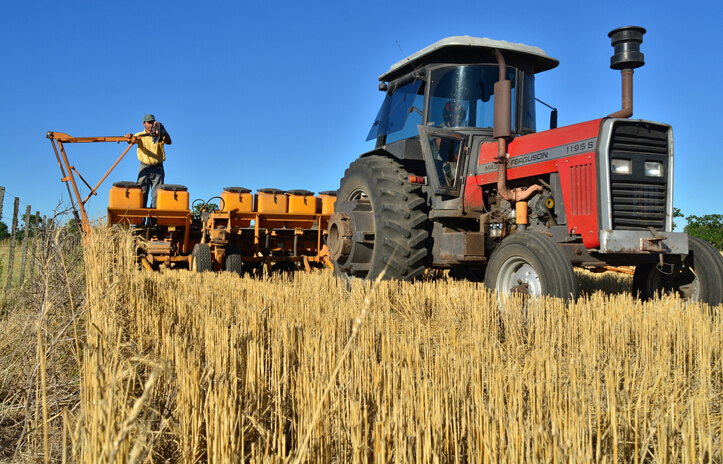 For instance, tractors employ a number or bearings of different designs and specifications as the machine needs to work fast and accurately while encountering harsh and changing weather. Moreover, tractors are required to work under terrains of different types. In such cases, the bearings should be designed to prevent dirt from entering therein and avoid getting corroded due working environments. Machines employed by agricultural industry would most often use ball bearings, which again have different designs. Some of the more popular designs of ball bearings are bearings offering angular contact, ball bearing with deep groves and thrust bearings. Additionally, this industry also requires roller bearings, the two most frequently used designs of roller bearing are Needle Roller Bearing and taper roller bearing. The key difference in the design of thee two bearings is that roller bearings provide linear contact instead of point to point contact. Thus roller bearings can bear more radial load but often operate at slower speeds so that heavier machines, which are frequently employed by agriculture industry, can use these efficiently. In case you are already employing agriculture machinery and looking for the perfect bearing for any of your machines, it is recommended to seek professional advice from a manufacturer or supplier of bearings.